You can contact me by email - Clare_eg@hotmail.com, or via the buttons in the sidebar of my blog. If you are interested in advertising on my blog, please contact me at the email above and I will email you my PR pack. I welcome contact from brands and events which would be relevant to me, especially anything vegetarian or parent related. I am happy to review products and write sponsored posts I do not reproduce press releases, but I will comment on press releases I find interesting. I do disclose reviews and featured or sponsored posts. Even though I might be paid for a sponsored or featured post, I will not accept payment for anything that I am not happy for myself or my blog to be associated with and I will always give an honest opinion, or belief on anything I am compensated for. I write my own review posts. Typically, they are written after being provided with a sample by a marketing team. I will always give my own honest opinion and include a full review of the product, links to relevant websites and photos I have taken or stock photos. Articles which I have been paid to write and post on my blog will always be clearly marked. 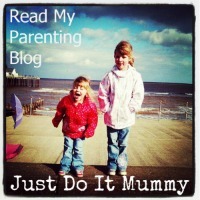 I accept sponsored posts which are relevant to my blog and its readers. Sometimes I will run a competition or giveaway. Any terms and conditions will be displayed on the individual post. I always use an online randomiser to pick a winner and I am happy to provide a list of entrants & winners upon request.